Happy New Year! Anyone else feel like they need a reset? I fully enjoyed the holidays with indulgent eating and less exercise but it is time to get back in gear to feel my best. As always, I do not endorse dieting or crazy measures to lose weight but I am all about doing what you can to feel your best. Adalyn and I doing "Strong Woman" as she calls it when she makes a muscle! I have a bit of a sugar addiction going on that I am trying to break for example. A few too many meals out, overeating at parties and not enough veggies have me feeling yucky and I need to step it up. I am about 3 months away from having my second baby and of course, the third trimester is tiring anyways so anything that I can do to feel good, I am doing. Since I am pregnant, now is not the time to get super in-shape or go crazy with exercise. Therefore, I am doing what feels best that day. Some days, that includes walking on the treadmill. Some days that includes doing a fitness video. Or some days (to be honest), that involves resting and not exercising much that day. Just getting moving will help you feel your best. I remember when I was in labor with my daughter while I was pushing for over an hour thinking that during my next pregnancy, I have to be in better shape for labor and delivery. It was the hardest hour of my life physically and this time, I knew that I wanted to be stronger for the big event of birthing my baby. I have been doing prenatal fitness videos which includes lots of squats and other exercises that are supposed to help keep you strong for labor. We will see! When I was pregnant with Adalyn, I gained around 30 pounds. This time, it is looking like I will gain a bit more but my doctor says that everything is still looking good and told me not to worry. I never cut a single calorie after having Adalyn when it came to losing the weight. I just ate healthy (but ate a lot since I was breastfeeding) and walked one time per day. In about 3 months, the weight was off. We will see what happens this time. I am not going to stress about being "skinny" right away or anything after having the baby. On days where I am totally sedentary, I don't feel good. I know that life will be totally crazy for awhile with two little ones but I am going to make an effort to do some sort of movement everyday so that I feel my best. In the beginning, you have to hold the baby, rock the baby, nurse the baby, etc. so much that your arms, back and more can get very sore and tired. I want to make sure to keep doing strength exercises postpartum (once cleared by my doctor) to be a strong mama. I know that I am an example to my daughter and want her to see a positive role model that is healthy and doesn't talk about "I'm so fat" or anything like that that would teach my daughter to have a negative body image. Those are my fitness goals that I am focusing on in 2017! 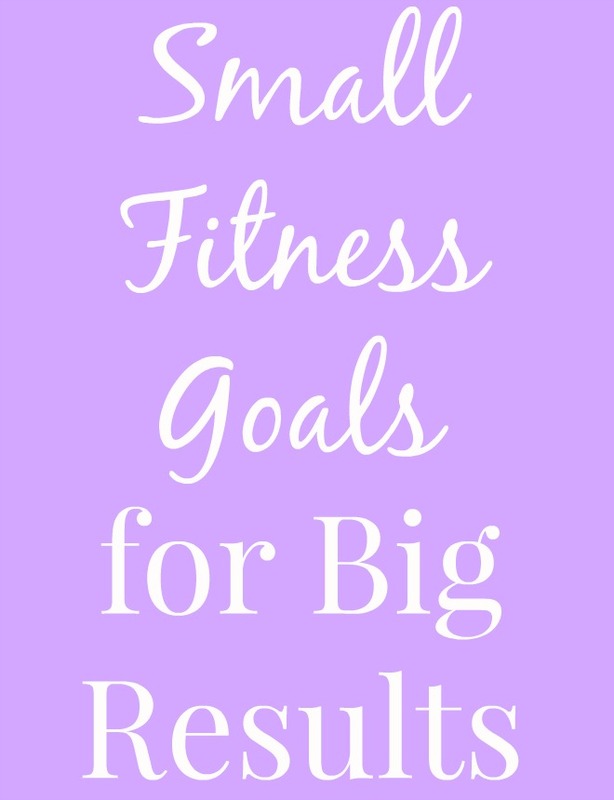 To help reach these goals, I recently purchased the Sole F63 Treadmill which is amazing to use during the cold winter months. My treadmill just broke (it was old) and since it is freezing outside, I decided to buy myself a new treadmill since that is the way that I can get myself to exercise. This model is wonderful and feels very smooth for walking or running. It doesn't have crazy programs or tons of bells and whistles but is highly rated and has a good motor which is what I was looking for. It goes fast too- up to 12 miles per hour. Adalyn even likes to jump on for a minute or two at a slow speed. Like mother, like daughter! Whatever your goals are for 2017, good luck!